Isn’t this Yellowhead Wrasse from Bermuda gorgeous? 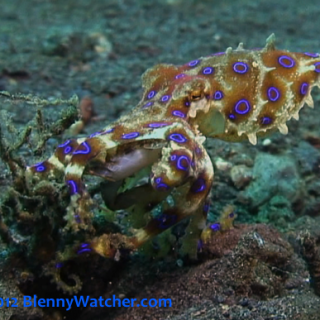 Even though Bermuda shares many of the same species with the rest of the western Atlantic, the island’s geographical isolation has led to some interesting variations. 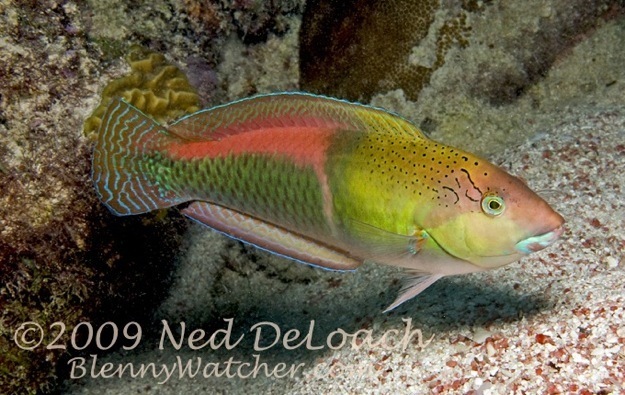 For example, in Bermuda the terminal phase Yellowhead Wrasse has a red back – as can be seen in the photo above. In fact, their common name for this fish is Redback. 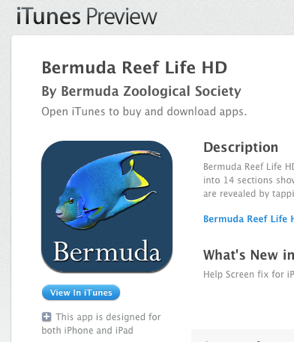 Earlier this year, our friend Ron Lucas sent news about the Bermuda Reef Life HD Apple IOS app that was developed for the Bermuda Zoological Society (BZS). 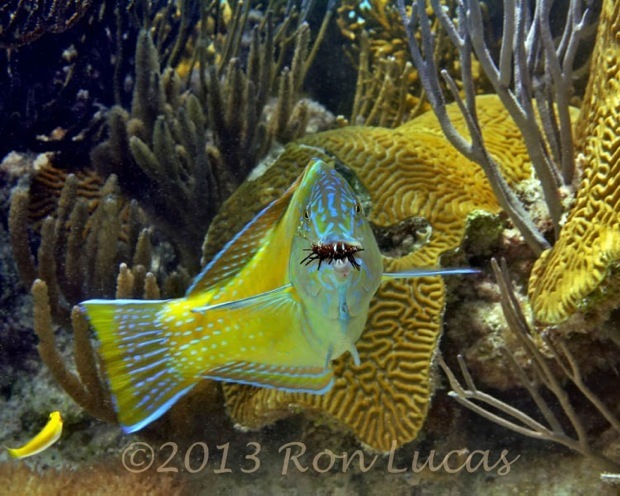 It was adapted from Ron’s book, Bermuda Reef Portraits with assistance on fish identification and editing by another good friend and expert REEF surveyor, the lovely Judie Clee (one of the best ever ambassadors for both Bermuda and the oceans). I bought the app, not just because all the proceeds benefit BZS, but also because I was pulling video for a public aquarium project and it proved quite useful for giving me all I needed to know about Bermuda fish and the popular dive sites we had visited. Click here or on the image to the left to go to the iTunes store to learn more or purchase the app. The Puddingwife wrasse, pastel colored in the Caribbean, is brilliant blue, green and lavender in Bermuda. 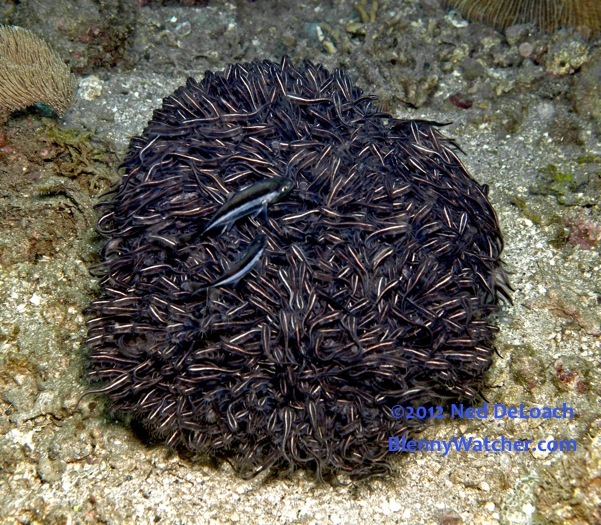 Normally very shy in other areas, a Bermuda Puddingwife will swim right up to divers. 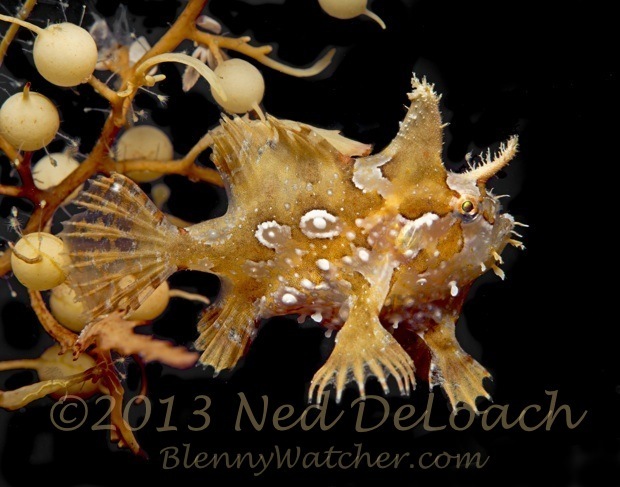 Ron shared this great shot of a Puddingwife in action, right after it grabbed an urchin. In addition to beautiful fish, Bermuda has some stunning hard coral reefs and judging from the photos of some bays the morning after their annual coral spawn, they must be quite healthy. 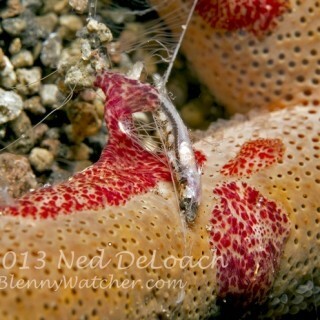 « A Bryozoan Goby and More! 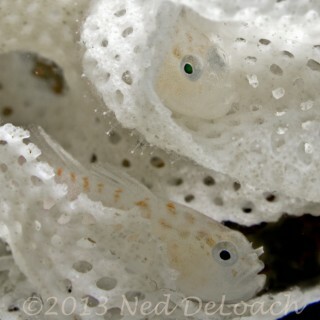 A Bryozoan Goby and More!